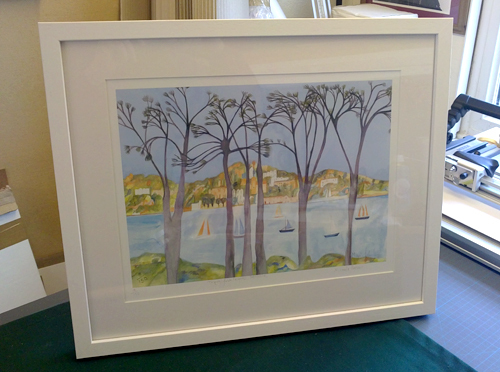 At Frame On we do bespoke framing of art work, prints, textiles and memorabilia. We take the time to help you choose from the vast range of mouldings, mountboard and finishes available, so your art work is shown to its best in its surroundings. Sample mouldings can be provided prior to ordering, if you wish to choose one that we do not stock. This personalised service is continued into the care and precision involved in constructing and assembling your frame. All our work is done to ensure the conservation of your art work from the ageing process at a level appropriate to its value.